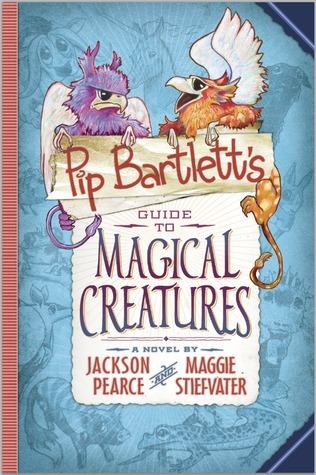 Pip Bartlett is a girl who can talk to magical creatures, and they can talk to her. The problem is, no one believes that Pip has this wonderful talent. On career day at school, when Marisol Barrera’s family bring their unicorns as a part of their career day display, Pip gets a chance to use her talent, and she uses it to ask permission of a unicorn for a ride. Things go quickly awry, and career day becomes chaos day. What does Pip learn? She learns that unicorns like to be the center of attention, yes…but most importantly, she learns they are bad listeners. After the Unicorn Incident, Pip finds herself spending the summer with her Aunt Emma, a veterinarian for magical creatures. Pip is in heaven, and soon finds herself conversing with Lilac-Horned Pomeranians, HobGrackles, and Silky Griffins. She also meets a new friend named Tomas who is allergic to almost everything in the most interesting ways. Soon, Pip and Tomas are in a race to save the town of Cloverton from an invasion of Fuzzles. And since Fuzzles burst into flames when they are stressed and the Ms. Dreadbatch wants the Fuzzles exterminated, Pip and Tomas must find a way to save them too. Can they do it? Perhaps, with the help of some magical, wonderful creature friends. This is a juvenile fiction title that will appeal to younger readers. The action is fast, creatures are fabulous, and there is a promise of more adventures in the future. A very fun read.